The American Society of Civil Engineers released infrastructure report cards in January for Washington, Georgia and North Dakota. Washington earned a C on the report card, issued Jan. 16. The score is the same grade Washington earned on its last report card, which came out in 2013. The scorecard assessed aviation, bridges, dams, drinking water, roads, schools, transit, storm water and wastewater. Washington’s road score inched up from a D+ in 2013 to a C- in 2019. Chairman of the Washington Report Card Committee Richard Fernandez said the state’s population growth poses the biggest challenge to maintaining infrastructure needs. The population has grown by more than 700,000 since 2010, the state’s Office of Financial Management reports. Fernandez said this influx creates congestion and places a strain on capacity, particularly in the Seattle area. He pointed out that Seattle, located on a narrow isthmus, leaves little room for expansion projects. Local government agencies have invested in transit in recent years to encourage public transportation use, thereby clearing roadways. Georgia, which earned an overall C+ on its Jan. 23 scorecard, also faces a booming population. According to Georgia’s scorecard, the state’s population has grown from 9.7 million in 2010 to 10.5 million in 2018. The scorecard indicates that the growth creates congestion that stymies commuters, shippers and manufacturers. 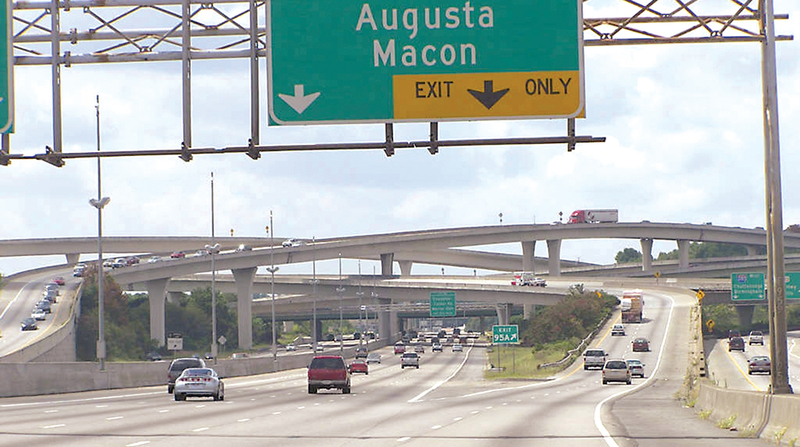 Roads and bridges in Georgia improved to a C+ from a C- since the last scorecard, bolstered in part by the Transportation Funding Act of 2015, which provided $900 million per year in additional revenue to the transportation system. Freight is important to Georgia, which is home to many corporate distribution centers, inland and coastal ports and some of the nation’s worst freight bottlenecks. Atlanta’s five-level stack interchange known as “Spaghetti Junction,” where Interstate 285 and I-85 North intersect, ranked No. 1 on American Transportation Research Institute’s 2018 study on the 100 most congested truck bottlenecks in the country. The intersection of I-75 and I-285 North in Atlanta ranked No. 4. Georgia Report Card Committee Co-Chairman Daniel Agramonte stressed the need to plan transportation holistically, weighing congestion issues against the needs of rail and ports in addition to roads and bridges. North Dakota received a C on its inaugural scorecard, which came out Jan. 29. Brandon Oye, co-chairman of the North Dakota Report Card Committee, said the state’s ASCE members started planning to create their first scorecard in late 2017 after participating in legislative “fly-ins” in Washington, D.C. Roads earned a B-, the highest grade on the scorecard. Although Oye acknowledged that this is a good score, he said more funding will be needed in the next few years to maintain roads. The report states that, if funding levels remain the same, the number of state-maintained roads that are in poor condition will double by 2021. ASCE recommends a fuel-tax increase as a fundraising source.